February 2013 – CREATE. PLAY. TRANSFORM. 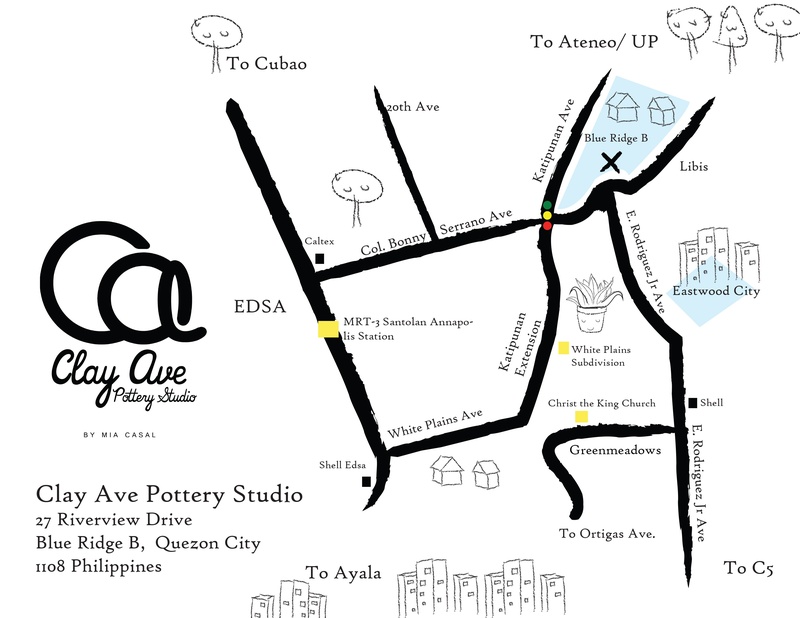 Our trip gets even better as we reach our second hour in Lanelle Abueva’s pottery haven in Antipolo City. Touring the pottery workshop is quite overwhelming. I’ve seen it several times and it feels like it’s always the first time. Nothing looks ever the same. The works are always different. The pots get developed. The glazes evolve. The space itself, improves through time. 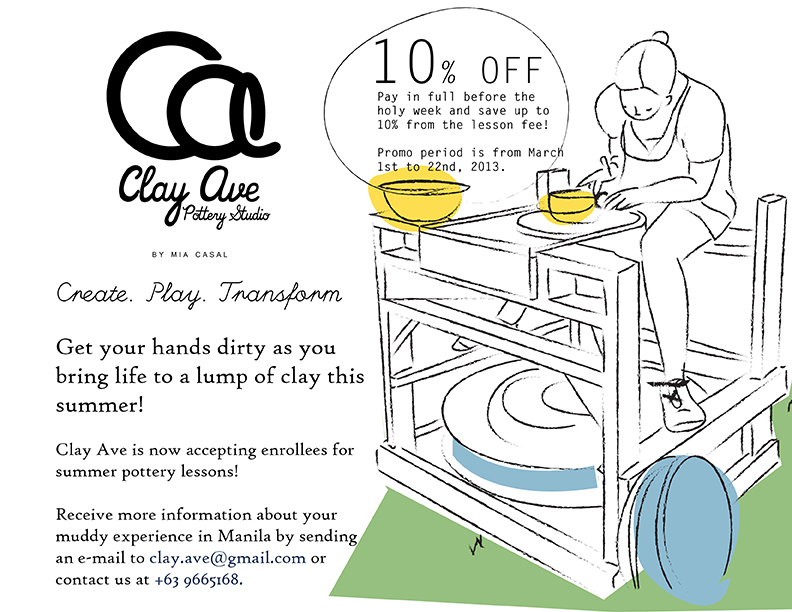 Clay Ave pottery field trips will never be complete without seeing the potters throw some clay with the potter’s wheel! 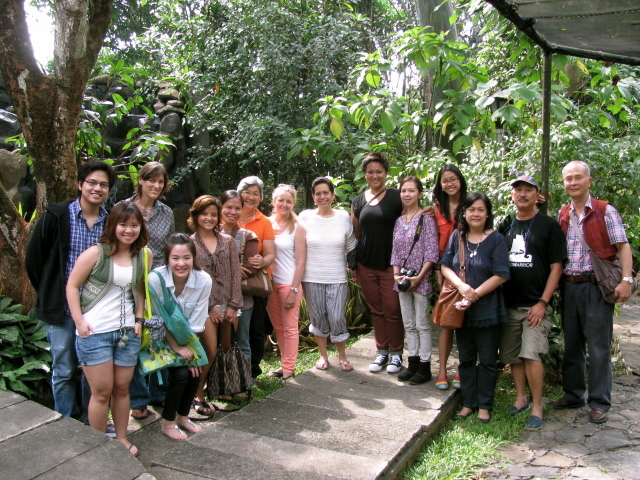 From the workshop area, Lanelle, led us into another area within the property. We all sat down and waited patiently, for her to demonstrate to us, how she centers her clay, how she turns it into a cylinder and a bowl afterwards. A bucket of water and sponge are always must-haves when making pots. 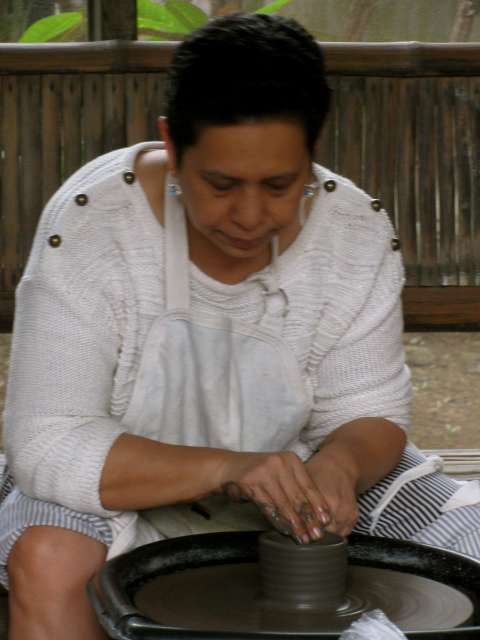 Here, Lanelle, taps her clay in low speed to the center of the wheel head. 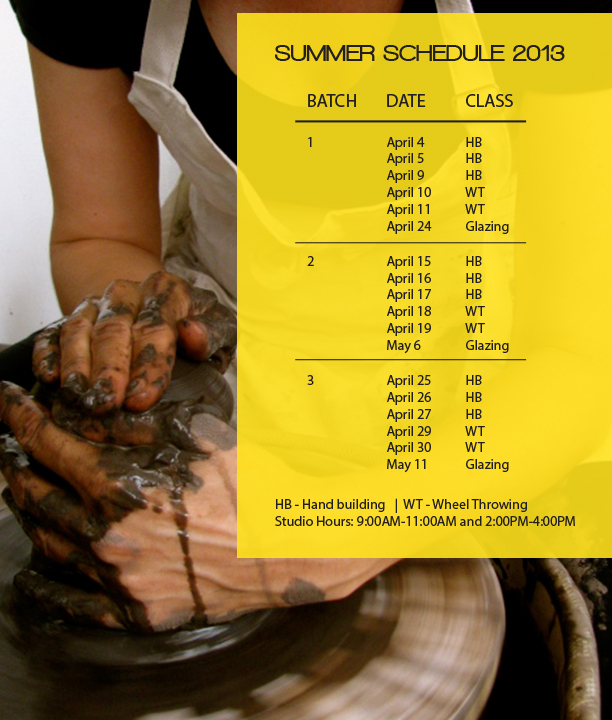 She makes sure that her clay will not go out of place as she spins the wheel faster. 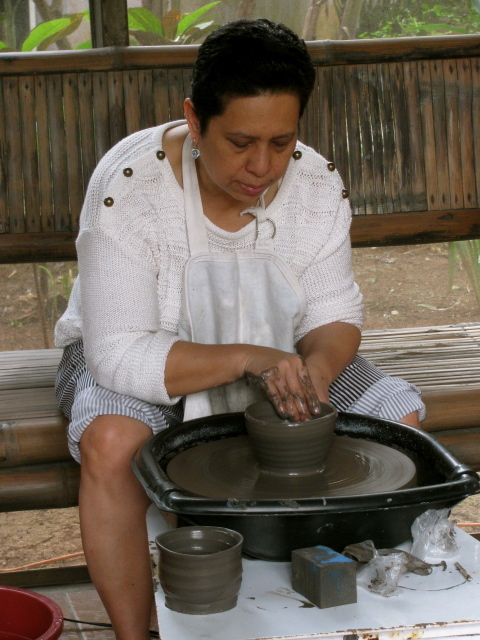 She speeds up her wheel and starts to center the lump of clay by choking it up and pushing it down. 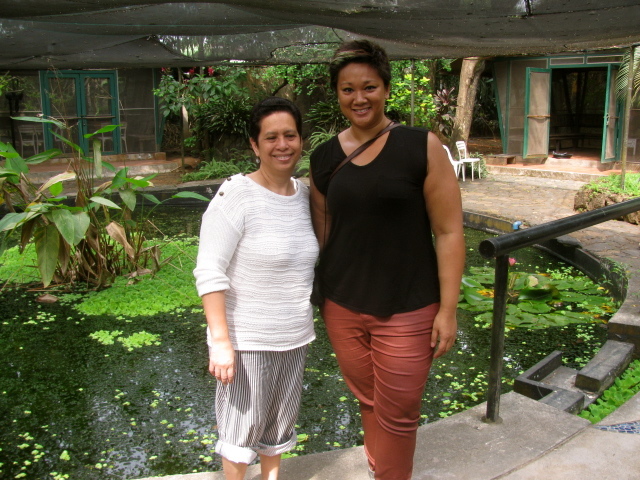 “It’s usually around this time, during a pottery demo, when someone starts to whistle or sing a line from the song, ‘Unchained Melody’ from the movie, Ghost.” Lanelle said. We all laughed. She starts to create a cylinder. “All shapes made with the potter’s wheel starts with a cylindrical shape. Whether it’s a bowl, a pitcher, a plate, etc. It starts as a cylinder.” She says. Now she opens up the cylinder into a bowl. She handles her clay with such grace that comes from a woman who knows the material she continues to use. We all clapped when Lanelle released her hands from the handmade bowl. As soon as she turned off the electricity from the potter’s wheel, I started remembering the time at Pottery Exchange in 2002. She was the first one who taught me how to center my clay. I remember looking at the trees on the parking lot across from the pottery studio at Eastwood City in Quezon City. 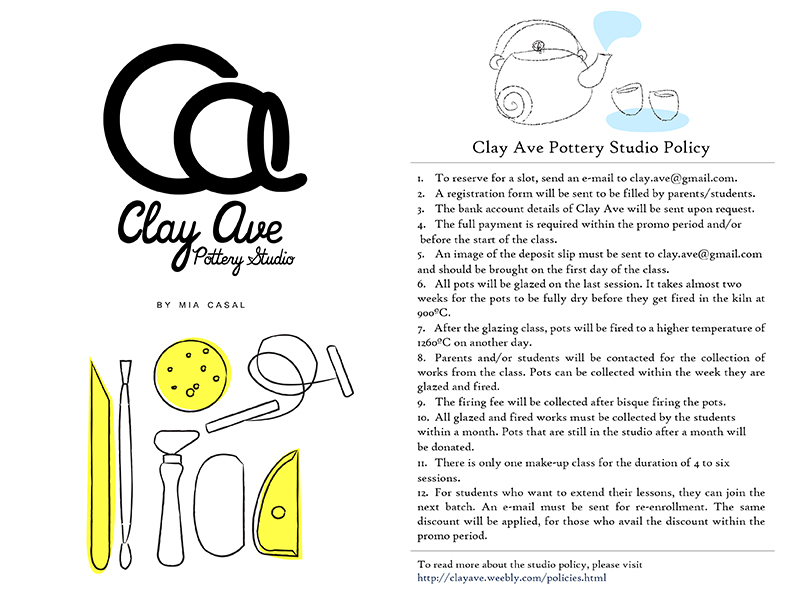 It took me a while before I was able to center my clay! Another trip just ended, which simply means, there’s another one coming! Thank You, Antipolo City, for welcoming us one Saturday morning without traffic. Thank You, Crescent Moon Cafe, for satisfying our craving for a good meal. 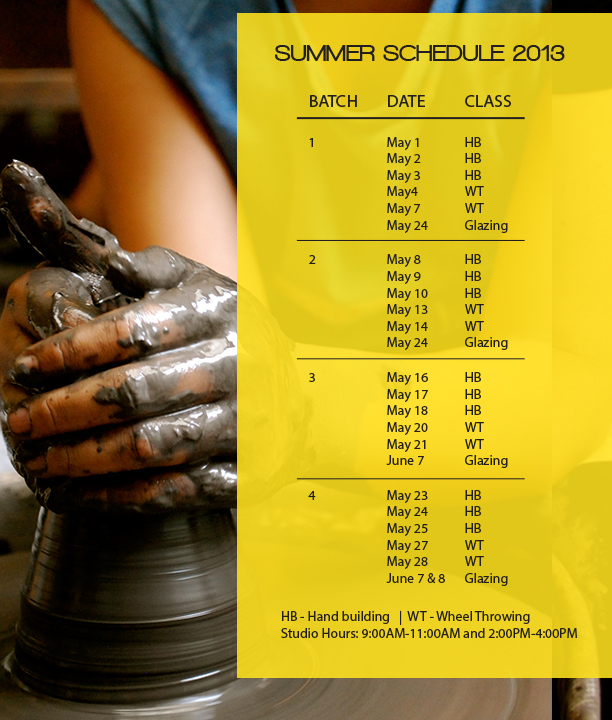 If there’s anyone in the pottery industry in The Philippines that I am thankful for the most – it’s you, Lanelle. When I was lost in my 20’s and didn’t know what I wanted in life, I met you and found Pottery Exchange. You taught me how to center my clay, but it now feels like my life started to be centered since then. Working with clay is very spiritual for me and I have started to see the good things in life, by experiencing the ups and downs in working with clay. Your studio then was my getaway from the craziness in my younger years. It was a time in my life when I wondered, if I could ever do something creative and extraordinary. Pottery has wrapped itself around me, since the first time I felt the spinning clay between my hands, almost thirteen years ago. Thank You for always welcoming me and my mom to the studio with so much warmth. Those were some of the great times I’ve spent with her. 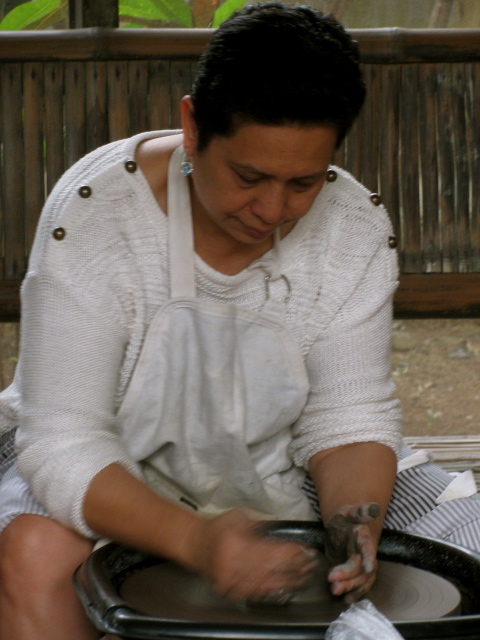 May you continue to be blessed as a Potter, businesswoman, and a mother.